[ 2009-04-12 : I’ve decided to back off this specific argument of “atheist” applying to those that lack belief. The reason for this is that although the definitions I point to in this piece agree with my more broad description of atheism, the Oxford English Dictionary describes atheism now as “A belief in the non-existence of Gods”. That being the case it’s no longer logical to keep arguing for the secondary definition. During some recent discussions about religion I’ve had at least one friend whom I consider extremely intelligent call himself an “agnostic” in the context of his belief in God. Here I will argue that he, and virtually everyone like him, are in fact atheists, and that they should, in order to enable higher-quality dialog on the topic of superstition vs. reason, identify themselves as such 1. The most common misconception about atheism is that all atheists are 100% convinced that no godlike entity exists anywhere in the universe. This is false. 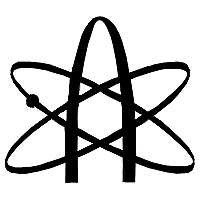 Very few atheists of a particular type called “strong atheists” hold this extreme view, and the general definition of atheism 2 is much more broad. Most atheists are what are called “weak atheists”, or “implicit atheists”, meaning they aren’t making any claims at all, but rather rejecting the claims made by others. This view of atheism can also be seen in common definitions of the word. Google’s definition service defines atheism as: 1. Disbelief in or denial of the existence of God or gods. 2. The doctrine that there is no God or gods, and dictionary.com defines atheism as: a person who denies or disbelieves the existence of a supreme being or beings. Key to this definition is the word disbelief. This is a crucial portion of most dictionary definitions of atheism, and disbelief is, literally, the “lack” of belief, and not the presence of an opposing belief, as is shown in this definition of “disbelief” in the Oxford English Dictionary. Many refuse to identify themselves as atheists because they cannot be sure there is no god, but what they fail to realize is that while being agnostic pending evidence in one direction or another, their admitted lack of belief in the meantime fully satisfies the criteria for atheism. So it isn’t that they are atheists and not agnostic, but rather that their status as an agnostic plants them firmly in the territory of atheism by default. As shown above, there is much confusion regarding the difference between theism and gnosticism. Theism refers to one’s belief in God or gods, and gnosticism is an epistemological term that deals with how much it is possible to know about something–specifically, creation, death, and other serious human spiritual matters. In short, there is no linear “scale of certainty” between agnosticism and atheism, with agnosticism representing a lack of certainty and atheism representing certainty. This is a misrepresentation of both theism (belief) and gnosticism (epistemology). There are many variations of both atheism and agnosticism, and this has not been an attempt to enumerate or describe these subtleties. The only issue being dealt with here is the fact that atheism includes both weak (no belief) and strong (explicit belief in the absence) views on the presence of gods, and that most atheists, including myself and even Richard Dawkins, are of the weak (no belief) form. So, given the fact that standard atheists and agnostics both lack belief in a god, and that atheism is much more precise term for this position, there is no reason other than fear of social backlash to identify as agnostic–especially since calling yourself an agnostic isn’t really describing your beliefs anyway. To most believers, the term “agnostic” means that you’re don’t care or think about the issue, not that you actually “don’t believe” due to a lack of evidence. So describing yourself as an agnostic is not really an act of making a distinction between agnosticism and strong atheism; what it really equates to is an unwillingness to confront or engage a believer on the issue at all, and that’s what I’m against. 1 People often ask why I think this is important. This is a good question, and the answer is that I believe human civilization is being actively retarded by those who seek to forge social policy based on superstition rather than reason, and the time has come to actively engage in dialog on the topic. The first phase of that is properly identifying the beliefs held by both sides. 2 This article on about.com covers the many definitions that atheism has held over time, starting with its origin, and it clearly demonstrates that a passive “lack of belief” has been, and continues to be, part of the definition.